This distinctive mammal can be identified by its large ears, long tail and prominent snout. The body is gray and lightly covered in hair. 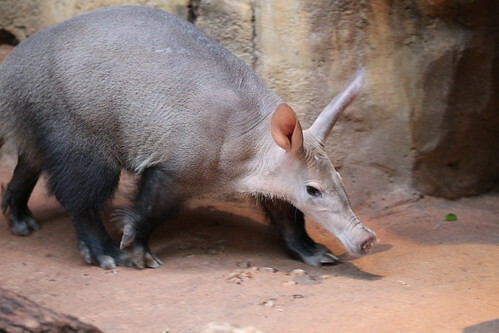 Aardvarks can reach up to 4 feet in length and weigh 120 pounds. 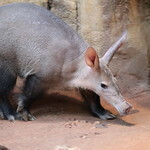 Aardvarks are found throughout sub-Saharan Africa, with the exception of the rain forests of central Africa. This species is common throughout its range. 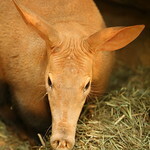 Lincoln Park Zoo cooperatively manages aardvark populations with other institutions in the Association of Zoos and Aquariums. 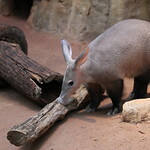 Insect-eaters, aardvarks favor grassland and savanna habitats, where they can find termites and ants on which to feed. 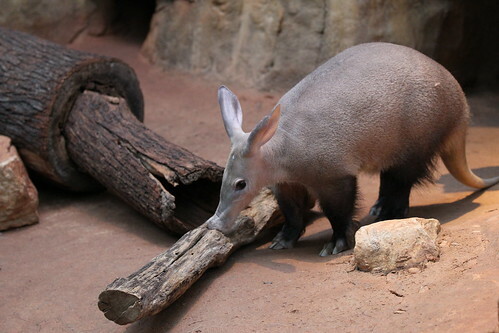 Powerful diggers, aardvarks use thick nails to dig into termite and ant mounds in search of insects to eat. The species has a long, thin, sticky tongue, which it uses to gather its prey. They are nocturnal, foraging for food at night and resting during the day. 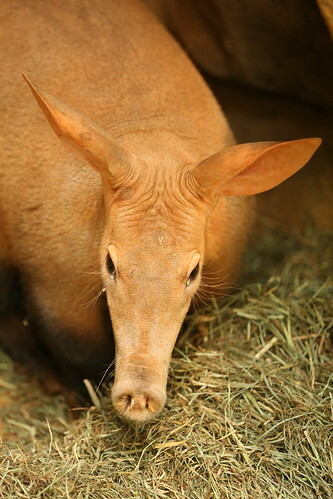 Aardvarks make their homes in burrows dug beneath the soil. They are solitary and territorial, coming together to breed. Females give birth in their burrows and young remain underground for several weeks as they mature. They eventually venture out to forage with their mother, digging their own burrows at around six months of age. As this photo #FromACurator shows, our female aardvark, Patsy, just loves sleeping in….although she is nocturnal!